During the environmental impact assessment of processes and products, there is a tendency to focus on water efficiency and greenhouse gasses emissions. Unlike Europe, Latin America has not yet built the environmental impacts inventories for many industrial sectors, this situation leads to the use of European references, when working in related topics, which not always resemble Latin American reality. This section is devoted to present Latin American research and applied projects aimed to improve water efficiency and evaluate greenhouse gasses emission in the local productive sector. The challenge is to support sustainability in a region composed by developing countries, including products and processes life cycle assessments, energy integration, water management, waste management, greenhouse gasses emissions evaluation and water treatments. It is expected that the transformation of production systems into “sustainable production systems” based in local information will increase CO2 emissions certificates, cost reductions by energy and raw materials savings, diminish water consumption and improve environmental indicators, like Dow Jones, valuable for new markets. The session welcomes papers dedicated to methods and models for environmental assessment conceived for different industrial sectors. We are also looking for results obtained in assessments done in Latin American cases. Ph.D. in Chemical Engineer fluent in Spanish, English and Italian. Excellent training in management and development of chemical and physicochemical processes in industry and research. Extensive knowledge in specific areas such as Sustainable Development, Economic Evaluation, Biofuels, Bioprocess, Life Cycle Assessment, Technology Transfer, Process Safety and Process Simulation. Also, with skills and experience in teaching, research, projects organization and working under pressure. Professional with high level of solidarity, responsibility, creativity, tolerance, committed to her work with holistic vision and ability to work in interdisciplinary teams. Biofuels gain market as an energy source that can increase security of supply, significantly reduce greenhouse gas emissions as compared to fossil fuels and provide a new profits flow for farmers. However, many of the biofuels that are currently being supplied have been criticized for their unfavorable impacts on the environment, food security, and land use. Sustainability of a biofuel needs to be guaranteed in a transparent way; this includes aspects such as the social and economic development of local, rural communities, land use, agricultural practices, competition with food, air quality, water resources, agricultural practices, labor conditions, energy efficiency and GHG emissions, life cycle analysis (LCA), etc. The challenge is to support sustainable biofuel and co-products production, including the development of biorefineries, new second and third generation biofuels technologies as well as bio-hydrogen production systems in the most cost-effective way, with a commitment to improve production efficiency and social and environmental performance in all stages of the biofuel and co-products production system, together with responsible economic policies to secure that a biofuel and co-products commercialization is also sustainable. The session welcomes papers dedicated to different aspects of biofuels and co-products sustainability. 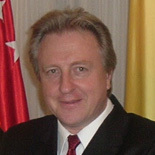 Viatcheslav V. Kafarov is the Director of the Center for Sustainable Development in Industry and Energy, the Professor at the Faculty of Chemical Engineering and the Director of Post Graduate Programs of the Industrial University of Santander, Colombia. He obtained a PhD. in Chemical Engineering from Russian University of Chemical Technology - D.I. Mendeleyev - Moscow, Russia in 1985, and Dr.-Ing. habil. in Technical Science at Martin Luther University Halle-Wittenberg , Germany in 1993. Since he entered at Industrial University of Santander in 1995 he develops research in the field of bio-diesel, bio-hydrogen, second and third generation biofuels production, sustainable development and Life Cycle Assessment for biofuels production, process integration and exergy analysis. He has been involved in a number of national and international research projects in biofuels and in sustainable development, most recently in international networks CYTED 306RTO279 - New technologies for biofuels production - UNESCO code 330303,332205,530603,330399 and CYTED 307RT0324 - Hydrogen: Production and Purification; Storage and Transport - UNESCO code 332202. 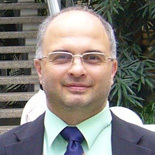 He is author and co-author of more than 80 papers and 7 books. Mustard stalk and straw: cheap and alternate lignocellulosic waste for production of lignocellulolytic enzymes. In July 2013 this session received a considerable attention, which resulted in an even higher number of invited lectures and participants than before, as well as authors invited to publish the extended manuscripts in dedicated Special Issues of journals with a high Impact Factor. Due to the high demand it has been decided to organise this session again in 2014. The main focus of the session is on research and demonstration in the field of energy and water efficiency for improving the sustainability in industrial and other activities. However, this year the topic has been extended with knowledge management. This is prompted by the overwhelmingly increasing number of research works, books and other publications, with ever more strengthening complexity and multidisciplinarity. Industrial production still requires a considerable and continuous supply of energy delivered from natural resources—principally in the form of fossil fuels such as coal, oil, and natural gas. The increase in our planet human population and its growing nutritional demands have resulted in annual increases in energy consumption. Furthermore, many nations have accelerated their development in the last 10 years, and countries with large populations (such as China and India) have seen even more significant increases in energy demands. This growing energy consumption has also resulted in unsteady climatic and environmental conditions in many areas because of increased emissions of CO2, NOx, SOx, dust, black carbon, and combustion process waste. It has become increasingly important to ensure that the production and processing industries take advantage of recent developments in energy efficiency and in the use of nontraditional energy sources. The additional environmental cost is related to the amount of emitted carbon dioxide (CO2) and may take the form of a centrally imposed tax. A workable solution to this problem would be to reduce emissions and effluents by optimizing energy consumption, increasing the efficiency of materials processing, and increasing also the efficiency of energy conversion and consumption. Although major industry requires large supplies of energy to meet production targets, it is not the only sector of the world economy that is increasing its energy demands. The particular characteristics of these other sectors make optimizing for energy efficiency and cost reduction more difficult than in traditional processing industries, such as oil refining, where continuous mass production concentrated in a few locations offers an obvious potential for large energy savings. In contrast, for example, agricultural production and food processing are distributed over large areas, and these activities are not continuous but rather structured in seasonal campaigns. Energy demands in this sector are related to specific and limited time periods, so the design of efficient energy systems to meet this demand is more problematic than in traditional, steady-state industries. In recent years there has been increased interest in the development of renewable, noncarbon-based energy sources in order to combat the increasing threat of CO2 emissions and subsequent climatic change. These sources are characterized by spatial distribution and variations as well as temporal variations with diverse dynamics. More recently, the fluctuations and often large increases in the prices of oil and gas have further increased interest in employing alternative, non-carbon-based energy sources. These cost and environmental concerns have led to increases in the industrial sector efficiency of energy use, although the use of renewable energy sources in major industry has been sporadic at best. In contrast, domestic energy supply has moved more positively toward the integration of renewable energy sources; this movement includes solar heating, heat pumps, and wind turbines. However, there have been only limited and ad hoc attempts to design a combined energy system that includes both industrial and residential buildings, and few systematic design techniques have been marshaled toward the end of producing a symbiotic system. Another important resource is water – both as raw material and effluent. Water is widely used in various industries as raw material. It is also frequently used in the heating and cooling utility systems (e.g., steam production, cooling water) and as a mass separating agent for various mass transfer operations (e.g., washing, extraction). Strict requirements for product quality and associated safety issues in manufacturing contribute to large amounts of high-quality water being consumed by the industry. In addition, large amounts of aqueous streams are released from the industrial processes, often proportional to the fresh water intake. Stringent environmental regulations coupled with a growing human population that seeks improved quality of life have led to increased demand for quality water. These developments have increased the need for improved water management and wastewater minimization. Adopting techniques to minimize water usage can effectively reduce both the demand for freshwater and the amount of effluents generated by the industry. In addition to this environmental benefit, efficient water management reduces the costs for acquiring freshwater and treating effluents. The idea of sustainability has now penetrated most science and engineering disciplines. Science and engineering together create technologies in the modern world, while the sustainability concept provides additional constraints. They must be considered to steer the development of useful technologies that protect the human health, wellbeing, the environment, and also protect the future generation for resource availability. Solution oriented technologies in this sense need better integration of sustainability ideas such that useful models can be created that use real world data to make sustainability decisions. Standards and guidance are needed to assure the robustness of these decisions that can be quantified. The purpose of this session is to showcase the latest advances in modeling for sustainability, in standards that assure data and decision quality, and in quantification of sustainability. Theoretical development and practical examples are being sought for a balance between knowledge and practice. Dr. Shadman is a Regents Professor of Chemical and Environmental Engineering (joint appointment as a Professor of Optical Sciences) at the University of Arizona and the Director of the Engineering Research Center for Environmentally Benign Semiconductor Manufacturing. 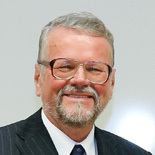 He was also the founder and Director of Sematech Center for Defect Control in Semiconductor Manufacturing from 1986 to 1996. 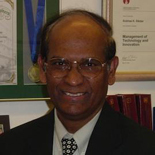 Dr. Shadman (PhD from the University of California-Berkeley, 1972) is the author of more than 110 journal articles, 3 book chapters, and 21 patents/invention disclosures. Among his awards are Akira-Inoue Award (2002), Landmark Innovation Award (2000), SRC/Sematech/SIA Excellence in Research Award (1998 and 1992), and Invention Awards (SRC 1991 and 1992). He is a Fellow of American Institute of Chemical Engineers.